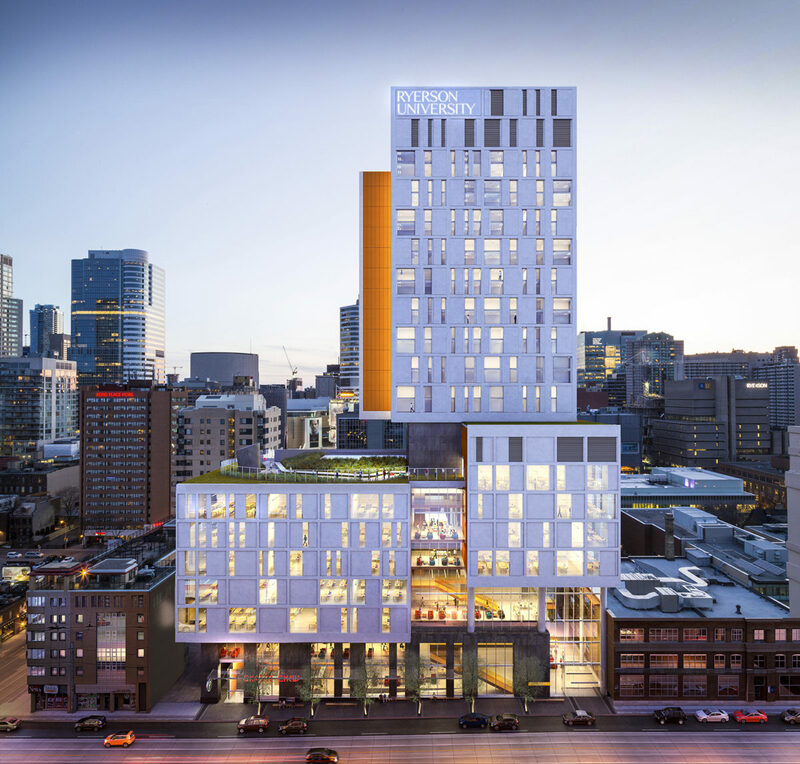 The new building is comprised of an eight-storey educational facility for Ryerson’s health sciences program and an 18-storey student residence tower. Human Space* facilitated accessibility working groups to develop a strong understanding of the diverse needs between these two facilities and provide guidance on best practices across provincial and municipal standards. Human Space implemented a strategic approach during a series of drawing reviews through the design development and construction phases. Within the educational facility, the focus was on creating physical accessibility to all public spaces, which included classrooms, teaching spaces, lecture halls and faculty areas. The student residences were designed to be fully accessible to people who use mobility devices which included accessible RA suites. The ability to access and visit every residence suite was a primary design objective. Overall, Human Space incorporated measures that involved flexible furniture and strategies for sensory disabilities, such as colour contrast, light control and strategies for low vision. 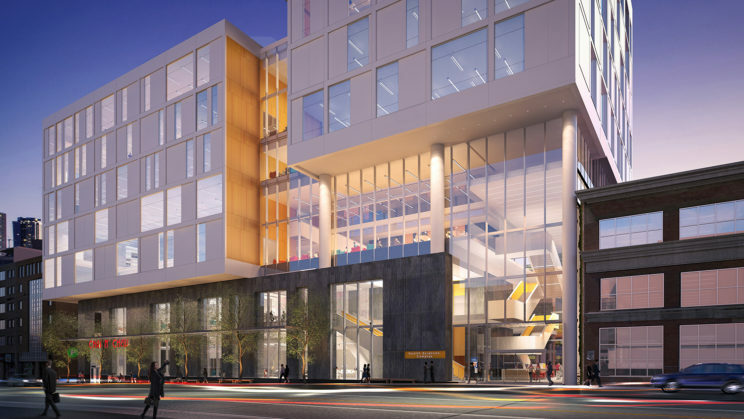 This project integrates accessibility design strategies to create an inclusive and welcoming facility that will be a landmark on Ryerson’s campus. Universal design strategies were incorporated into the design, exceeding the minimum requirements currently in place for accessibility in the province. Universal design will make this project accessible to the 332 students that will reside in its tower and to the academic programs housed in its podium.